Despite technical advances, music production courses and an incredible choice of DAWs, there's still a world of difference between wanting to produce a track and actually being able to produce it – let alone completing a well-balanced, high-quality track. That's where we step in. 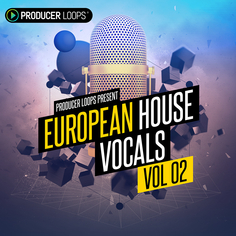 In addition to helping you out with the huge variety of sample packs we offer, this series of articles will help you on your way to rocking the production game. Our author, Michael de Kooker, will discuss a new subject in each article. This time, it's mix-down priorities. Today, we'll be talking about how thinking about the mix-down process and making conscious decisions will further improve the quality of your tracks. I'll give a few tips and pointers on how to make the most out of your separate layers. A lot of people don't really know where to start with a mix-down, it can be a pretty complicated part of music production. The term mix-down may not be very clear to some, and the mix-down process is often highly intertwined with the production process itself nowadays. So, let's talk about priorities when doing your mix-down. Where do you start? What should you keep in mind? I know you worked very hard on that drum-loop, and you aced that synth riff too. Preferably, you'd want to show off everything and put it all to the front. Unfortunately that's not the way to go. 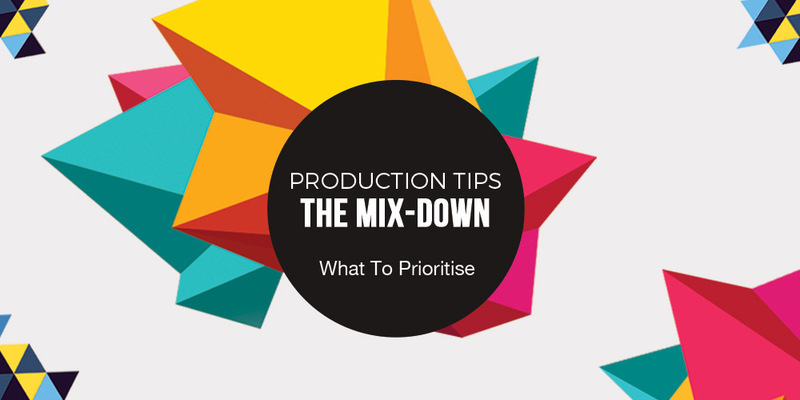 A mix-down is a well thought-out series of choices and considerations. One important aspect that we need to start with, is the fact that it all depends on the style you're producing. 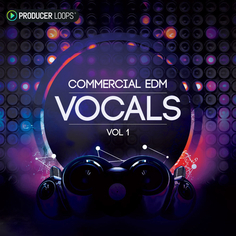 A vocal dance track will have different priorities from an instrumental Drum & Bass track. For instance; with a vocal track, the vocal is often the most important element that needs to be on top and the kick is in front of the bass section. Yet with an instrumental Drum and Bass track, it's actually mostly the bass layer that makes (or breaks) the track. Sure, the kick is still important to give the track some rhythm, but not in the same way the ‘4 to the floor' kick is essential in an average dance track. To keep things clear; this article will focus on a vocal dance track. 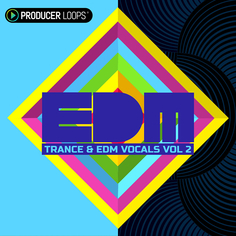 That way I can give a description of the most used elements in today's dance music, and can give pointers how to make the most of them. I won't go into much detail about the processing though, so no reverb or delay talk. Let's start off with the most important layer in a vocal dance track: the vocals. In the vast majority of vocal tracks, the vocals are actually the most important element on the track. The name ‘topline' clarifies that it sits on top. On top of the track, on top of the mix. While ‘backing vox' are in the background. Talking about priorities, that sounds reasonable. Because of this, my recommendation would be to make the vocals sound as good as possible without any music. Even on their own, the acapella (solo'd vocal parts) should shine, sparkle and sound amazing overall. So, when starting the mix-down of a vocal track; start by processing and mixing the vocals until they sound pretty much perfect. That way, at a later stage, you can mix the rest of the instruments around the vocals, so they won't lose their sparkle. Some tips to make your vocals stand out of the mix at any given point is to do a fair bit of vocal riding on the volume, make sure to reduce the dynamic content of the recording a bit. Turn up the low parts, turn down the peaks. Additionally, compression is always recommended to straighten out the dynamics a bit more. Besides this, with a dynamic sidechain EQ (such as trackspacer), you can actually push away the frequencies on other instruments when the vocals need that specific space. And finally, automating the volume of the vocals throughout the track is another way to make them stand out. In terms of panning; the lead vocal is often panned dead center. With backing vocals, double takes or harmonies are panned left and right (or widened) to create a stereo effect. The kick drum is essential in a lot of music styles. Especially in today's dance music, it's the 4 to the floor rhythm that drives the entire track. Because of that, it's very important that it doesn't get pushed away by elements that share similar frequency ranges. In this case the sub bass for the low elements, and percussion elements (such as claps or snares) for the transients. 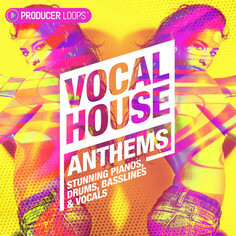 For the kick itself, I would recommend doing a similar ‘solo' processing as the vocals. The kick needs to sound good, solid, and punchy, without any of the other instruments. In order to make the kick stand out more, some processing on other instruments is often required. You should think of sidechain compression; the real deal or the ‘fake sidechain' volume LFO tools (such as kickstart) on the bass, the synths, some fx and some percussion. A side chained dynamic EQ is also a great option, as this only pushes away the exact frequencies the kick needs instead of all frequencies keeping your frequency spectrum filled at all times. Besides that; a transient designer is a great tool to give your kicks more presence and punch. You can shorten or lengthen decay times, or you can boost (or attenuate) the transients on your kick. Whatever is needed. Other than that; some slight EQ or saturation is ideal to make the most out of your kicks. After the kick, it's the bass that gives a track most of its power. The subs, which you don't always hear, but most definitely feel, drive the track. First of all it's important to talk about the specific bass layers. The average dance track has a few layers for the bass. The subs (low frequency content), the mid-bass (the recognizable bass sound) and sometimes a high frequency sound on the bass. As I explained before, sidechaining the bass to the kick is often a good idea. To create room for the kick. Another trick that really works getting your bass to push through is saturation (or slight distortion). It's the key to a warm bassline, a warm track even. Because of the generated harmonic content it's also a great way to make your mixes translate to smaller speakers / systems well. For instance, with saturation you can create some mid-harmonics on your sub, suddenly making them fuller and making sure you can hear (a version of) your ‘subs' on laptop speakers or phone speakers too. It's important the bass plays well together with the kick. One additional way to achieve this is to compress your kick and bass together. Basically gluing them into this tight driving element of your mix. Yet another one of those priorities. Now, the last three elements are a bit more tricky. As they will contain both instruments that you want on top, but also instruments that you'd rather push to the background. Well, you're lucky (kind of). Most of the synths or melodic instruments are in a frequency range that doesn't necessarily conflict with the kicks or the bass. The most important frequency range of this buss can be found between the mid-low and the highs. Yes, some frequencies may conflict with the mid-basses, in which case sidechaining is a great tool to fix the issue. And yes, sometimes a synth has a build-up of high frequency information that might conflict with any transients on the kick. Again, sidechain is a solution, as well as EQing any unwanted frequencies. Frequency conflicts with vocals are common. The solution to that is regular EQ (dip the frequencies where the vocals sit mostly) as well as the dynamic EQ linked to sidechain I mentioned before. Dip the frequencies only when the vocal comes in, for the most natural sounding result. However, the biggest challenge in this area is to keep the synth / melodic instruments separated from each other. Give all of them their own space and try to keep any frequency masking at a minimum. Volume control, panning, compression, stereo imaging are all tools to create room for the separate instruments. Just make sure you keep an eye on their balance in the mix. One can argue that the kick counts as percussion as well. And that's absolutely right. But in this case, I'm talking about all the other percussion except for the kick. The claps, snares, shakers, hi-hats, finger snaps, bells etc. etc. You want these instruments to add rhythm to your track, but in the average vocal dance track, you do not want them to sit at the very top of your mix. As there are simply more important elements to the mix. Arrangement is very important for most elements, but perhaps more so for percussion. With the right arrangement, you can actually get the percussion to shine through at the moments you choose. Think of a good percussion fill or a nice tom loop in the intro or outro. Because most percussion samples are of a short length, it's not that hard to get it to sound right. With percussion, I mostly only use some EQ on unwanted frequencies, or some compression to tame the peaks or transient shaping to enhance the peaks. Panning percussion is ideal to easily create room in your mixes. Finally the FX / Effects section. Very important to bring atmosphere to your tracks. Keep things interesting, build tension with risers or white-noise or emphasise important moments in the track with a crash or down-lifter. Some elements you would want a bit more to the front; such as the said crash or noise sounds. Others you want more to the back; such as atmospheric noises, vinyl crackle or whatever you're using to bring your track to life. Generally speaking though, your FX section should not be at the complete front of your mix. The importance of your FX is more in the subtleties than it is in the very explicit sounds. I hope the information here will help to give you an idea of where to start with a mix-down. It's not rocket-science. It all comes down to making conscious decisions. Know what you do and why you do it, remember the priorities. This is probably the one thing that will truly make your mixing life a lot easier. Also, it's important to note that the tools you use to do this, and to reach the desired result, are not important. It's really the result that counts.